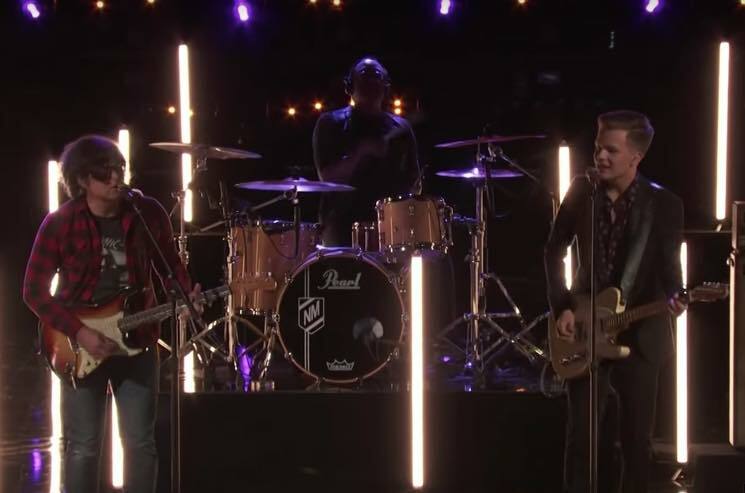 Ryan Adams might not be the first name that comes to mind for the special guest on a reality TV singing competition finale, but he did indeed appear on the season finale of The Voice last night (May 22). Adams performed "To Be Without You" from last year's Prisoner alongside contestant Britton Buchanan. Adams seemed to have the time of his life hanging out with celebrity judges like Kelly Clarkson, Alicia Keys and Maroon 5 singer Adam Levine. When @aliciakeys smiles like that in real life you feel like you're going to faint. From all the way across a damn room. Also @kelly_clarkson you give the best hugs. It meant so much to finally meet you. And @adamlevine you are so awesome. Thank you for running over and welcoming Todd & I like that. It's not the first time Adams' music has appeared on the show, though — earlier this year, contestant Dylan Hartigan performed Heartbreaker classic "Come Pick Me Up." Watch Adams' and Buchanan's performance of "To Be Without You" below.